Employee Safety and Quality Control are the #1 priorities at One Source Power. 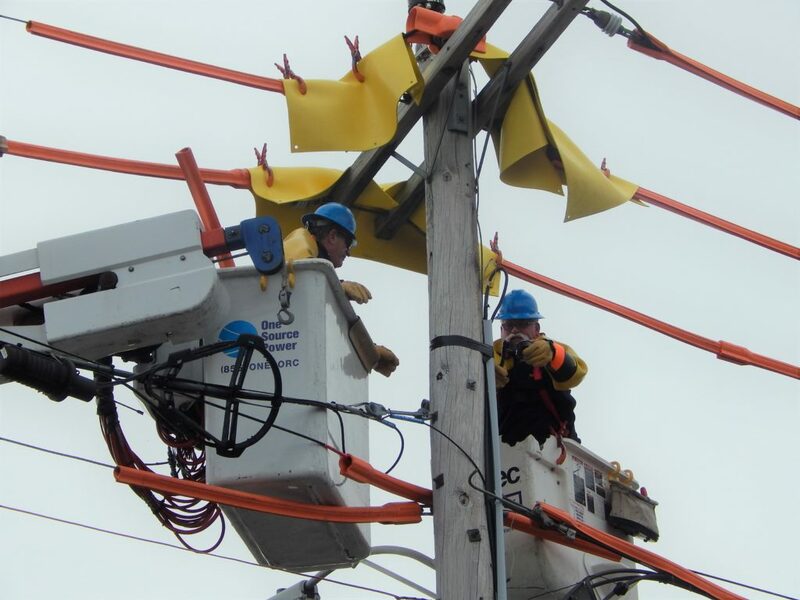 All our executives, managers, supervisors, and journeymen are involved in the storm restoration process, and they are all fully trained and highly experienced. Bottom line, everyone in our company is dedicated to providing the safest possible work environment.Even during regular operations, outside line work is a dangerous profession. In the aftermath of a storm event, it can become even more hazardous. In the execution of any type of repair from storm-related damage, our employees always ensure safety is the first priority. One Source Power team members also know they are expected to act in a professional and courteous manner in dealing with each other, utility company representatives, the general public, and any other individuals encountered in the performance of their work.